UD Trucks’ new medium-duty truck “Condor” is a good business partner for customers that allows them to feel a complete sense of security and tackle logistical challenges. The Condor is equipped with fuel efficiency, safety features, and drivability, which are fundamental ingredients for medium-duty trucks. In addition, UD Trucks’ comprehensive support services will realize efficient logistics in an even better way. The new “Condor” offers a greater variety of engine power, cabin types, and drive train systems than existing models. By adopting automated manual transmission as a new option, Condor comes with a wide range of models that meet the business needs of customers. The front grilles employ the hexagon grille, which is UD’s basic motif, displaying that the new Condor belongs to the UD family. The lightweight, compact “4HK1” engine realizes high performance and will significantly contribute to a reduction of customers’ transportation costs. The engine delivers environmental performance and further improves loading and fuel efficiency by adopting Eco Stop (idling stop-and-start system), which is effective in reducing wasteful fuel consumption and exhaust gas, the ECONO mode that prevents vehicles from excessively accelerating through automatic control of the engine speed and fuel injection, as well as an advanced turbo system and fuel injection system. 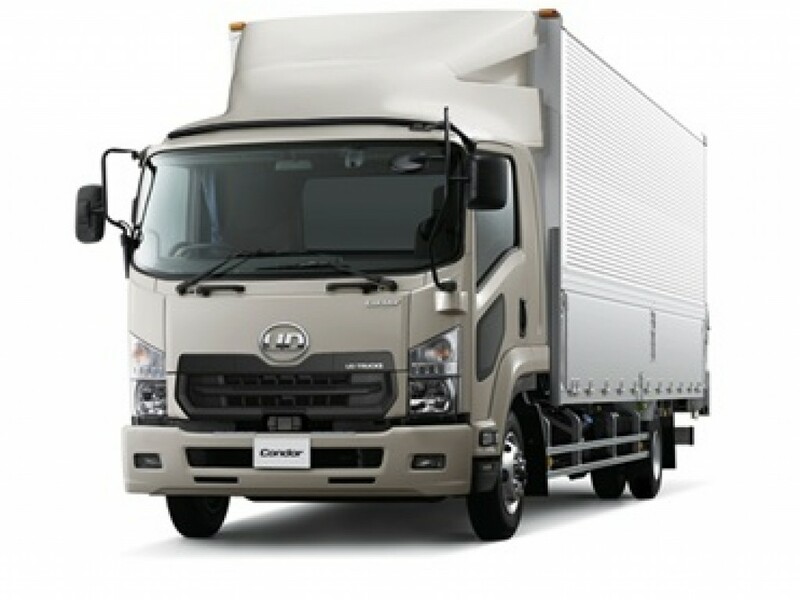 All Condor trucks with GVW ranging from 8 to 14.5 tons and the 4X2 axle configuration, equipped with Eco Stop (idling stop-and-start system), achieve +10% over the 2015 fuel economy standards for heavy vehicles in Japan. The new Condor adopts advanced safety technology, which can firmly support customers’ safe day-to-day running. Condor’s safety performance is strengthened from three viewpoints: proactively detect danger to support drivers, support safe daily running, and minimize damage drivers suffer. Detecting danger is ensured by combining multiple advanced systems such as the pre-crash brake capable of double detection with a millimeter-wave radar and camera, the lane departure warning system, and the millimeter-wave inter-vehicle warning system. Furthermore, Condor’s safety performance helps reduce drivers’ fatigue and contributes to the day-to-day safe operation of vehicles. In addition to the reliable manual transmission, automatic manual transmission (AMT) options, capable of operating the transmission only with a shift lever, without a clutch pedal, are available for all models. The ECONO mode that enables automatic gear shifting provides all drivers with comfortable drivability and fuel efficient driving. Condor’s large cabin’s interior excels in operability and visibility and has plenty of storage space such as a center console box. Drivers will be offered a comfortable and efficient environment not only while driving but also working in the cabin. The new Condor pursues efficient maintenance as well. By providing authentic, fulfilling aftermarket services, UD Trucks ensures that customers’ trucks run and remain in optimum condition, maximizing its uptime. Mercedes-Benz has revealed a prototype urban tractor unit based on its low-entry Econic chassis. The truck features a deep, panoramic windscreen and full-height glazed passenger door, and a low seating position which enables the driver to make direct eye contact with cyclists and pedestrians at junctions and in traffic. The German manufacturer said the 4×2 Econic 1835L tractor will operate at a maximum GCW of 36 tonnes. 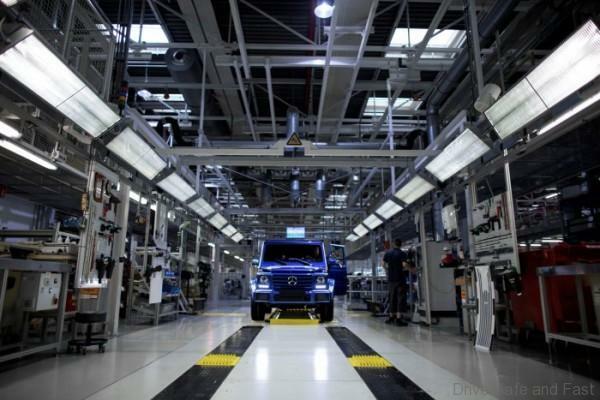 The truck has a 7.7-litre, 354 bhp straightsix engine and six-speed Allison automatic gearbox – though Merc confirmed a PowerShift automated ’box will be available in Econic models with the same engine before the end of this year. The vehicle made its public debut at Truckfest Peterborough and includes recent refinements to the Econic cab made to enhance driver appeal. These include a driver’s door which is higher and opens more widely, and a reprofiled floor to make cross-cab access easier. “Our experience over the last couple of years in London and elsewhere has proved the safety benefits the Econic offers in comparison to a conventional rigid truck chassis give it significant market appeal,” said Philip Chance, senior municipal sales & special applications manager at M-B Trucks. The Volvo FE is now being launched with 350 hp/1400 Nm and a new front axle for axle loads of up to nine tonnes. This makes one of Volvo Trucks’ most versatile models into a strong contender even for more demanding distribution, refuse handling and light construction duties. The Volvo FE 350 will be offered on all Euro 6 markets for now. The competition, which first started in Europe as a concept for achieving maximum efficiency, is moduled based on local market demands and industry landscape, where for Malaysia it will mainly concentrate on three key areas; Driver Development, Fuel Maintenance and Dynafleet or Telematics. 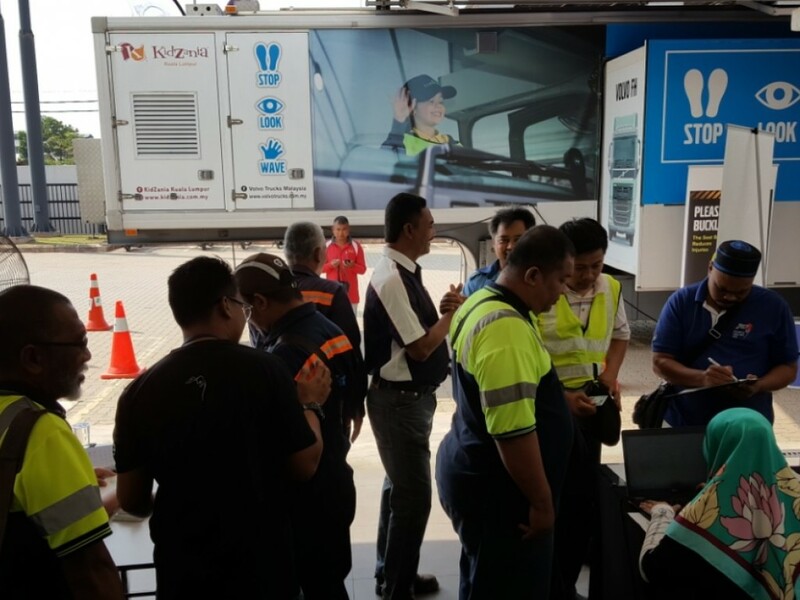 “Going beyond that, Fuelwatch Challenge also condones proper management and maintenance of the truck prior to usage. Not only will it contribute significantly to fuel efficiency on the road, it would also reduce the risk of a breakdown and more importantly, the safety of the trucker and those around it,” said Nilsson. This year’s competition has kicked-off with preliminary rounds already held in Johor Bahru on 25th July, and Kuantan and Kuching on 27 July. The other five locations include Ipoh on 1st August, Bintulu on 2nd August, Prai on 3rd August, Port Klang on 5th August and Kota Kinabalu on 6th August. The competition is open to all drivers of Volvo trucks. “Fuelwatch Challenge has been a highly successful event for us, given the very positive response from our customers. In 2015, we had 1,040 partcipants and in 2016, there were 1,410. 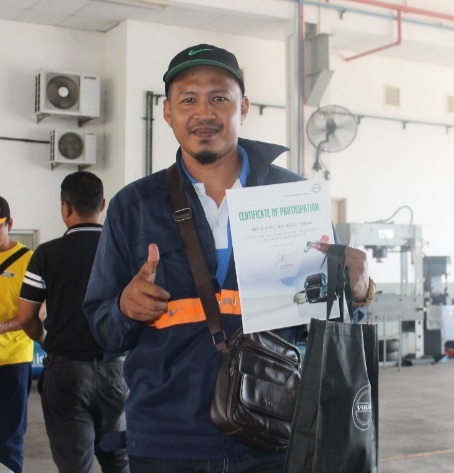 “Based on the number of participants who have already attended the recent preliminary rounds, there has been an average of 40% increase from last year. We have been seeing yearly increase in the number of drivers coming to take part in Fuelwatch Challenge as we have always strived to make the competition exciting. In addition, the competition also gives the drivers a certain sense of professional prestige and pride,” added Nilsson. Volvo Trucks Malaysia will be making this year’s competition more interesting with the addition of three things. 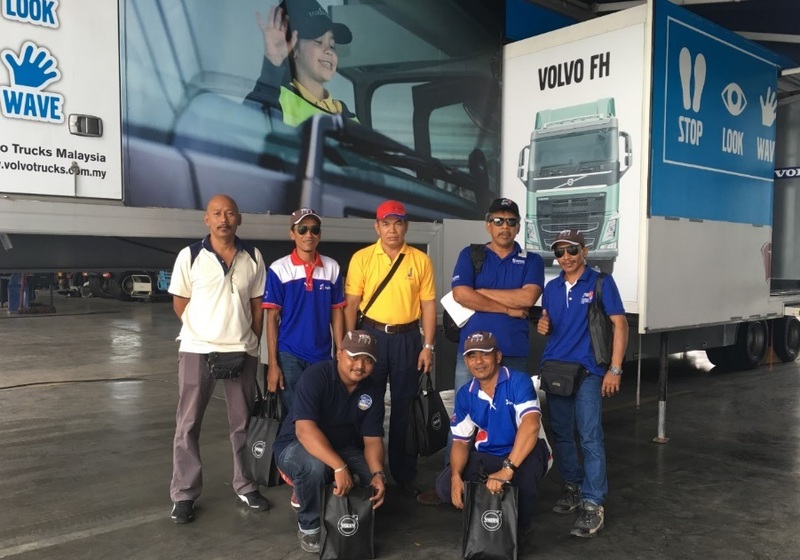 Firstly, Volvo Trucks will be including in the competition, an oral communication assessment for truck drivers as a value-add and to increase their confidence. “Historically, truck driving is not seen as a career people would normally go for but truck drivers do play a huge role in moving the nation’s economy. They are the unsung heroes, which is why we are treating the job as a highly significant skill and career to have. 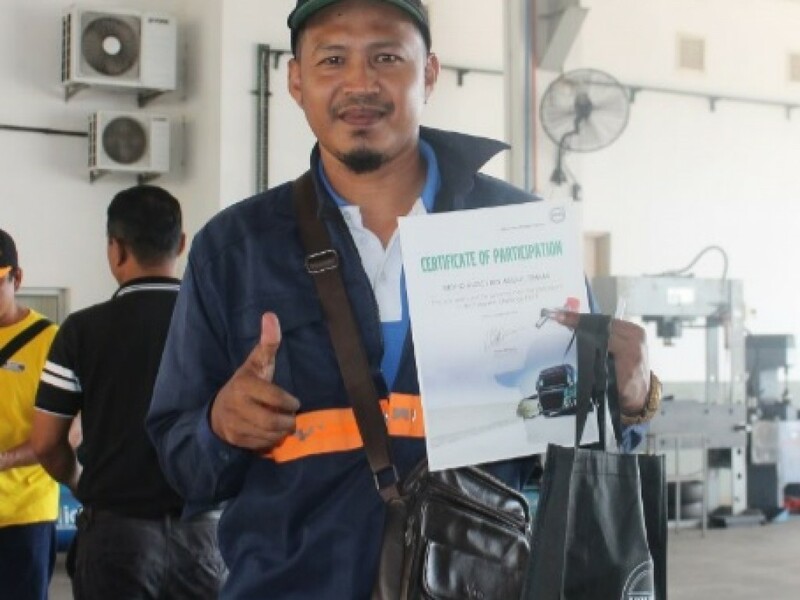 We aim to help truck drivers increase their level of pride and sophistication towards their job by building good social skills through effective communication. At the same time, elevating their overall professional status,” commented Nilsson. Secondly, it will be incorporating a live demonstration of the Driver Coaching feature using Volvo Trucks’ proprietary telematics system, Dynafleet. Here, the driver will be coached in real time from inside the truck’s cab using the secondary screen, supported by Volvo Trucks’ in-house driver trainer who will explain to the truck driver information on the printed reports and how to improve. 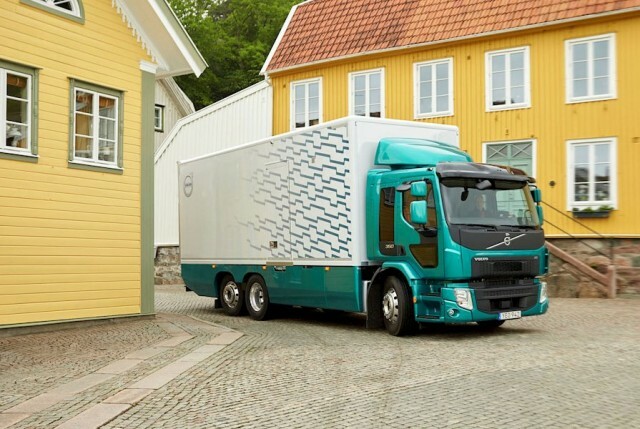 Thirdly, Volvo Trucks is planning to use its recently launched and highly powerful flagship heavy-duty long-haul truck, Volvo FH, for the final round of the competition. “Many of our customers are now talking about future regional business opportunities which the Belt and Road Initiative will present and how to get ready for it. With the Volvo FH that is built for long-haul regional distribution and with superior torque and power, applying it in this year’s Fuelwatch Challenge would be exciting, and offer great experience to our customers and their drivers who take part,” shared Nilsson. 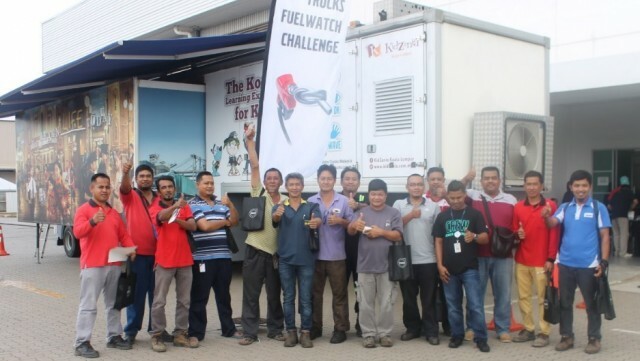 “At the end of the day, Fuelwatch Challenge helps our customers in the logistics and haulage industry reduce wastage and truck operating costs, because a competent and knowledgeable truck driver makes all the difference when it comes to fuel efficiency, safety and maintaining truck uptime,” concluded Nilsson. All participants in the preliminary rounds will need to undergo a briefing and a written test to prepare and qualify them for the final stage of the competition, where only seven will qualify for the final round to be held in Shah Alam on 25th and 26th August 2017. Prior to that, these seven finalists will have to undergo a training session before the actual day of the final competition. The local champion will represent Malaysia at the global championship in Sweden from 18th to 22nd September 2017. 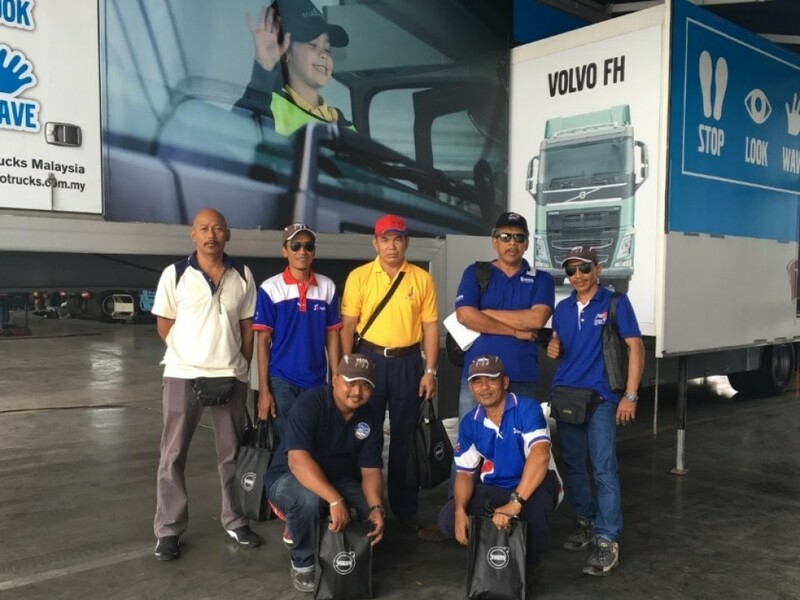 Companies who are interested to enrol their drivers can do so online via http://bit.ly/2rULuzV or contact Volvo Trucks Malaysia’s Customer Care Service at 012-373 1030 and 019-240 1030. They can also visit www.volvotrucks.com.my or www.facebook.com/VolvoTrucksMalaysia for more information. 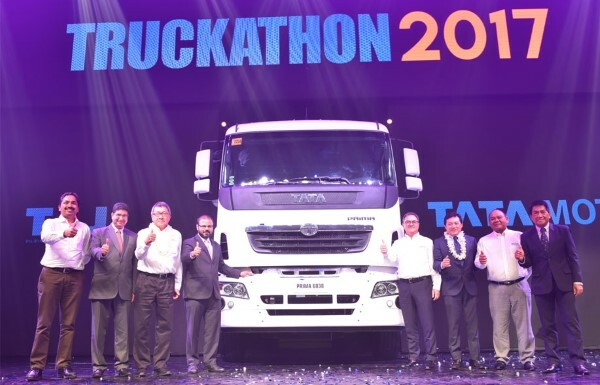 Tata Motors launched a range of commercial vehicles in Philippines, making headway in the country through a distribution agreement with local partners Pilipinas Taj Autogroup, Inc., an important business conglomerate engaged in the local distribution of motor vehicles. Through this partnership, Tata Motors will commence the supply of its commercial vehicle brands – the Tata Prima Range of Tractor Trailers and Tippers, the LPT range of Light, Medium and Heavy Trucks, SFC 407, and the Mini Trucks range of Ace and Super Ace. Commenting on the occasion, Mr. Rudrarup Maitra, Head (International Business), Commercial Vehicles, Tata Motors said, “Philippines is one of our key markets in South-East Asia and we are delighted to be a part of one of the fastest growing ASEAN nations. 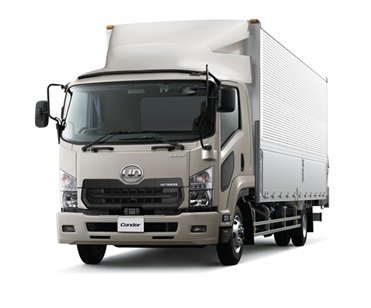 With years of experience in the commercial vehicle business, we at Tata Motors have analyzed and understood our customers well and are dedicated to providing them with best-in-class products and services. Mr. Jon Fernandez, Jr., President of Pilipinas Taj Autogroup, Inc., said, “We, at Pilipinas Taj Autogroup, Inc., are proud to partner with Tata Motors to offer customers with sturdy and reliable vehicles. We are looking forward to this new opportunity and are committed to catering to the commercial vehicle market with India’s largest and most trusted automobile brand here in the Philippines. “Driving a heavy commercial vehicle in an urban residential area with narrow streets and vulnerable road users naturally imposes major demands on safety, even when the vehicle’s speed doesn’t exceed a normal walking pace. 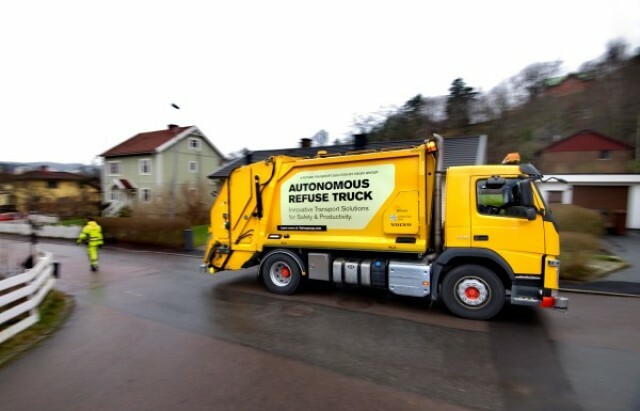 The refuse truck we are now testing continuously monitors its surroundings and immediately stops if an obstacle suddenly appears on the road. At the same time, the automated system creates better prerequisites for the driver to keep a watchful eye on everything that happens near the truck,” says Carl Johan Almqvist, Traffic & Product Safety Director,Volvo Trucks. 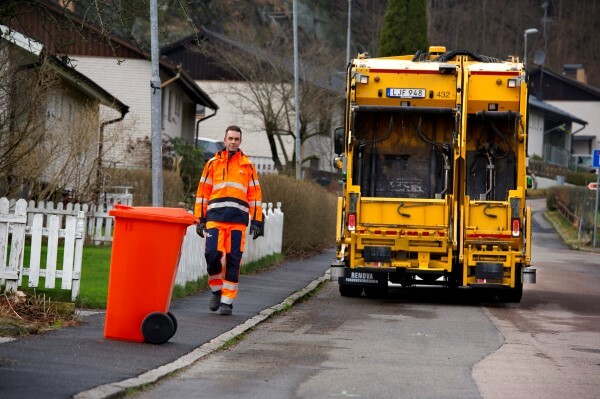 At the first stop with the automated system activated, the driver climbs out of the cab, goes to the rear of the truck, brings out the wheelie-bin and empties it exactly the way the job is done today by operating the relevant controls. When the operation is completed, the truck automatically reverses to the next bin upon receiving the driver’s command. The driver walks the very same route that the truck takes and thus always has full view of what’s happening in the direction of travel. But why reverse instead of driving forward? “By reversing the truck, the driver can constantly remain close to the compactor unit instead of having to repeatedly walk between the rear and the cab every time the truck is on the move. And since the driver doesn’t have to climb in and out of the cab at every start and stop, there’s less risk of work related injuries such as strain on the knees and other joints,” says Hans Zachrisson, Strategic Development Manager at Renova. Reversing is otherwise a fairly risky manoeuvre since the driver may find it difficult to see who or what is moving behind the vehicle, even if it is fitted with a camera. In certain areas it is not allowed to reverse with a heavy commercial vehicle for safety reasons, in others it is a requirement that a co-driver must stand behind the truck to ensure that the road is clear before the vehicle is allowed to reverse. The solution being tested is designed to eliminate these issues. Since sensors monitor the area all around the refuse truck, driving is equally safe no matter the direction in which the vehicle is moving. And if for instance the street is blocked by a parked car, the refuse truck can automatically drive around the obstruction provided there is sufficient space alongside. 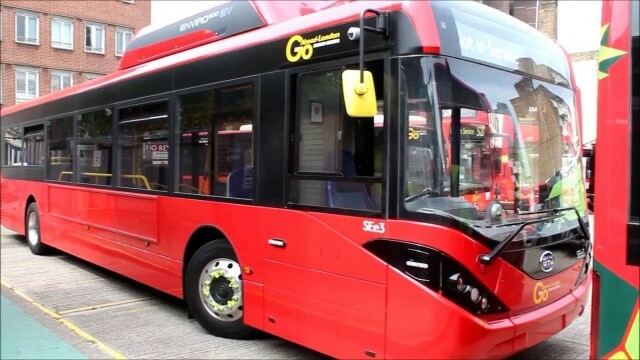 The ADL/BYD electric bus partnership has secured a third order from Go-Ahead London – for a total of 30 of its BYD ADL Enviro200EV 10.8m models. Eleven of the buses will operate on Transport for London’s route 153 from February 2018 A further 19 electric buses will operate route 214 from August 2019. All will be based at Go-Ahead London’s Northumberland Park in North London which will be equipped with BYD supplied charging equipment. The new order means that Go-Ahead London will have in service a total of 95 BYD ADL pure electric buses based at three depots – Waterloo, Camberwell and Northumberland Park. Today’s announcement follows the news last month that another TfL operator, London United – part of RATP Dev, has ordered 36 ADL BYD electric buses. The BYD ADL partnership anticipates further orders imminently as other TfL tenders are awarded. 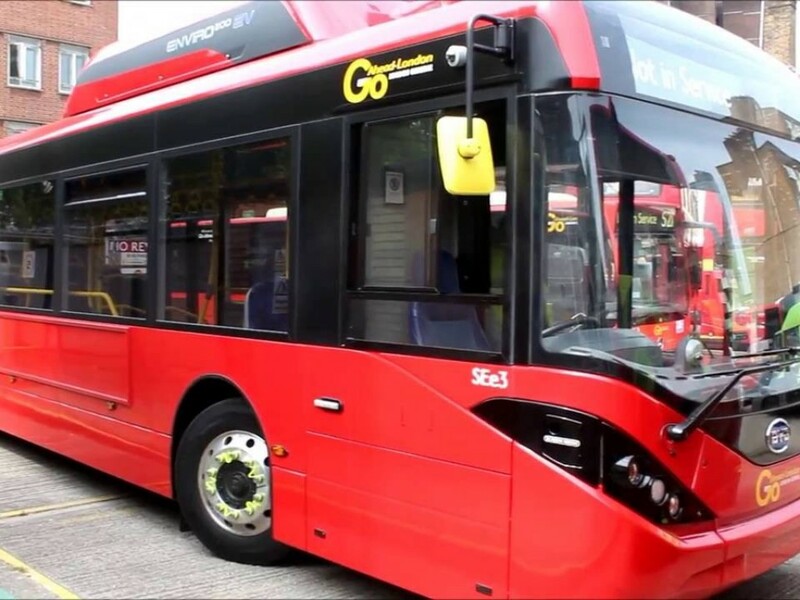 Richard Harrington, Engineering Director at Go-Ahead Group, said: “We are without doubt the pre-eminent operator of electric buses in London and have accrued significant experience of their operation. The fact is that the BYD ADL products have proved themselves capable of replacing diesel buses without any operational impact in terms of daily scheduling. Careful planning of the depot recharge facilities and infrastructure is of course necessary but we have no need to use any opportunity charging”. Isbrand Ho, Managing Director BYD Europe, said: “The strength of the combined BYD ADL offer is now clear for all to see. Go-Ahead London’s initial fleet of 51 has been in operation for almost 10 months now, operating reliably and effectively day in, day out. No further trials are necessary – these products deliver outstanding efficiency and environmental benefits today and we are optimistic of further significant orders”. Distribution of essentials and other supplies need to be effected systematically and rapidly and this usually requires a large pool of resources ranging from manpower to trucks, four-wheel drive vehicles and even boats. In some instances, volunteer groups and private vehicles are needed to assist when the affected areas become too large or difficult to access. 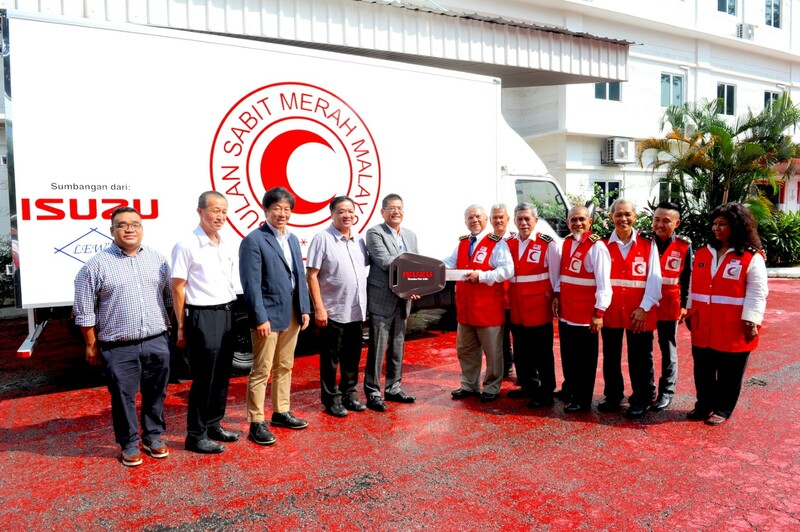 In an effort to provide the MRCS with an additional asset to deploy in times of need, Isuzu Malaysia donated an Isuzu N-Series 5,000kg truck for use by the Society, particularly in the state of Pahang. The truck will be a valuable and timely tool for the MRCS particularly as the Northeast monsoons approach in less than three months. Kenji Matsuoka, Chief Executive Officer of Isuzu Malaysia who handed the keys of the Isuzu truck to Secretary General of the Malaysian Red Crescent Society Dato’ Sayed A. Rahman bin Sayed Mohd hoped that the company’s contribution would enhance the society’s outreach efforts to communities in times of need. “Preparedness for eventualities can make a huge difference in coping with natural calamities and disasters. 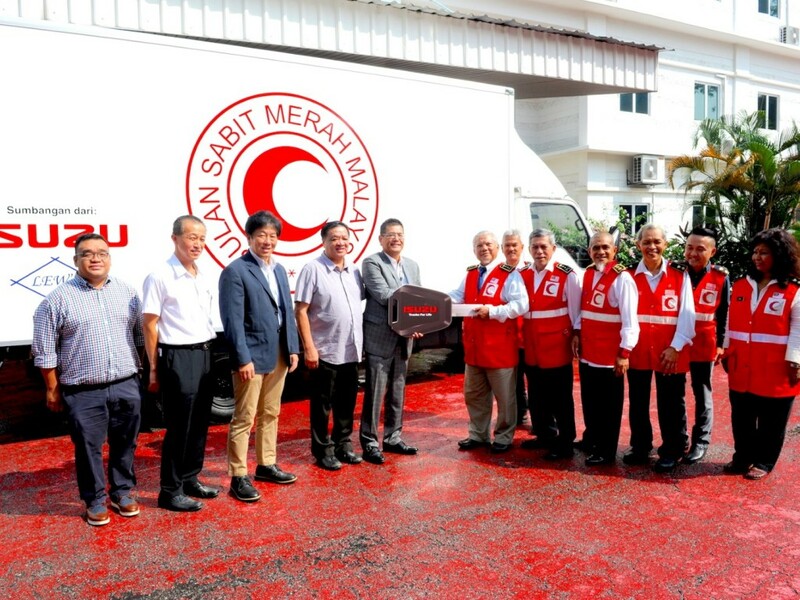 By providing the Malaysian Red Crescent Society with one of the most dependable and efficient trucks available today, we hope that Isuzu is able to contribute towards the Society’s disaster response initiatives,” said Matsuoka. 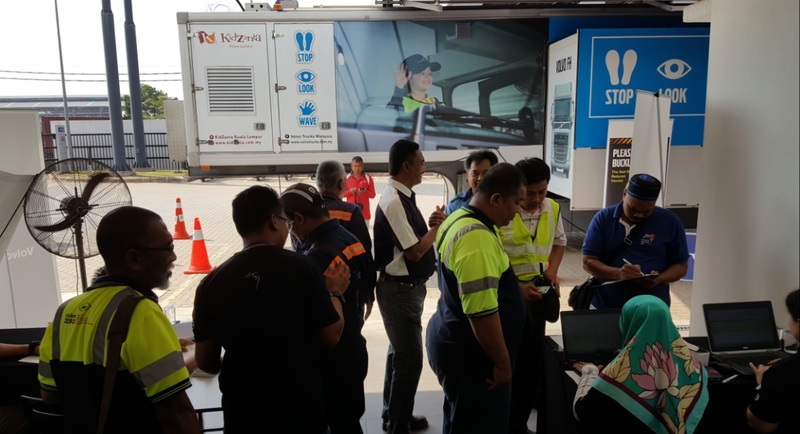 The Isuzu N-Series 5,000kg chassis presented by Isuzu Malaysia was fitted with an aluminum box body donated by Sri Hoong Huat Auto Trading Sdn Bhd (LEW’s), one of the leading truck body builders in the country. 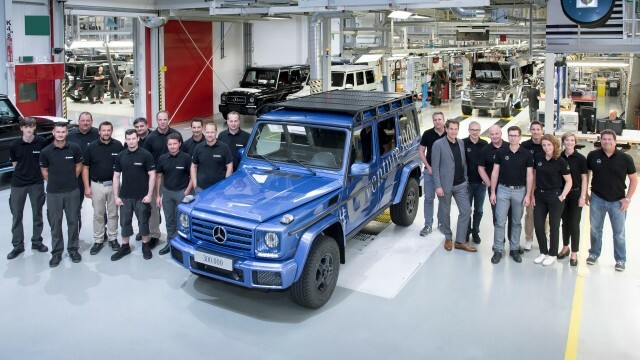 The 300,000th vehicle of the legendary G-Class has rolled off the production line at Magna Steyr in Graz, 200 km in the south of the Austrian capital Vienna. The record vehicle is a Mercedes-Benz G500 in the colour designo mauritius blue metallic with black leather seats and contrasting white stitching (fuel consumption combined: 12.3 l/100 km; combined CO2 emissions: 289 g/km). The legendary off-road qualities and adventurer character of the G-Class are enhanced by the Off-Road package including black 16-inch wheels with all-terrain tyres and a robust roof rack. This winning combination was selected by fans of the G-Class from all over the world, who voted for their favourite specification via the official Facebook page of the G-Class (http://www.facebook.com/MercedesBenzGClass). During the next few months the anniversary vehicle will be on display on social media networks. The future adventures of the 300,000th G-Class can be followed via #Gventure300K. Sales of the G-Class have grown continually since 2009. Thanks to the strong growth rates, the forefather of the SUV, the G-Class, achieved a new sales record in 2016 with almost 20,000 units being sold within a year. The G-Class has achieved a new sales record every year since 2012. The development of the G-Class started in 1972 with a cooperation agreement between the former Daimler-Benz AG (today Daimler AG) and Steyr-Daimler-Puch (today Magna Steyr) in Graz, Austria. In 1975 the decision was made to commence series production of the G-Class. At the same time it was agreed to construct a new plant in Graz, where the vehicles have been manufactured ever since, mainly built by hand. The production of the G-Class started on 1 February 1979. In some countries, for example Switzerland and Austria, the G-Class was also sold up until end of the year 1999 under the brand name Puch. In the manufactory in Graz, the vehicles are assembled on just a single production line. 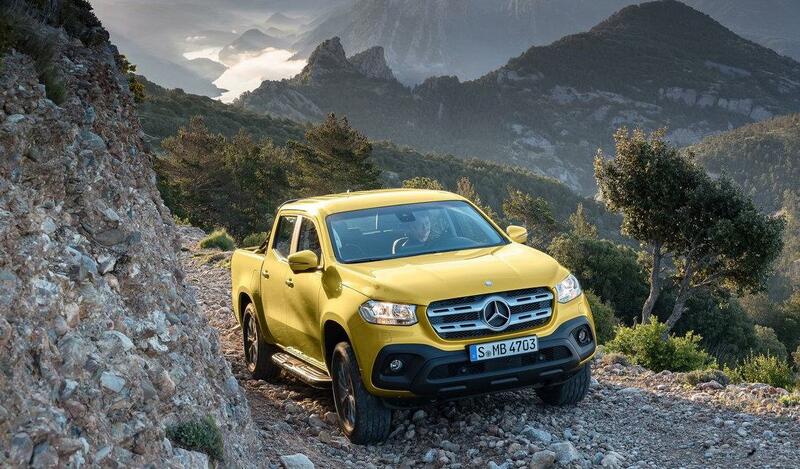 The X-Class’s design draws attention to the basic virtues of a pickup – robustness, strength and off-road capability – in an emotionally appealing way. Even the dimensions themselves exude effortless superiority with a length of 5340 millimetres, a width of 1920 millimetres (excluding the outside mirrors) and a height of 1819 millimetres. 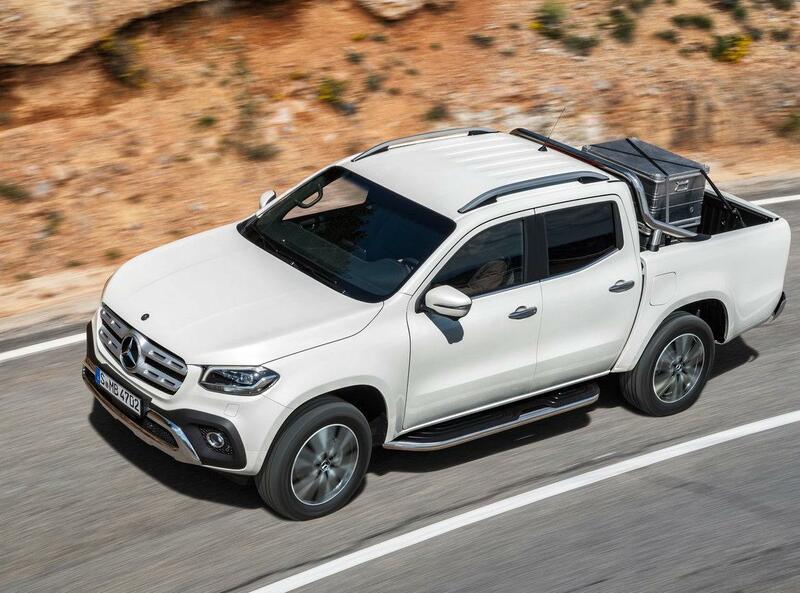 Both physically imposing and hardworking, the X-Class can haul a payload of up to 1.1 tonnes. That is enough to transport 17 full 50-litre barrels of beer in the cargo area. Able to tow up to 3.5 tonnes, it can pull a trailer containing three horses or an eight-metre yacht. Thanks to its long 3150-millimetre wheelbase, the short and cladded front overhang, the backward shifted passenger compartment and the very long rear overhang, the pickup has an elongated vehicle body which exudes pure dynamism. The design of the side windows with their dynamic kink along the beltline and taut lines contrasting with muscular, sculpted surfaces also allude to the longitudinal dynamics. Widely flared wheel arches, the commanding front and the purist design of the rear all accentuate the impression of width. Together they give the pickup a powerful on-road presence and make reference to the X-Class’s excellent lateral dynamics. The front has the masterful looks of one of the brand’s typical SUVs – with the centrally positioned star, twin-louvre radiator grille, high and powerfully honed bonnet and the headlamps extending far into the wings. The front apron emphasises width and has its own distinct character depending on the chosen design and equipment line. In the PURE basic variant it is unpainted and thus shock and scratch resistant. With the PROGRESSIVE design and equipment line it is painted in the vehicle colour. The POWER high-end variant likewise has a bumper painted in the vehicle colour and also comes with a chromed underbody panelling. The headlamps with their design idiom, clearly defined contours and high-quality modelled details are another compelling visual feature. The POWER line is equipped with LED High Performance headlamps as standard. Besides their striking look with the brand’s hallmark torch effect, they provide extra safety at night and in poor weather conditions. The headlamp unit also contains LED side lights and daytime running lights. High beam on the inside works using a reflector system and low beam on the outside uses projector-beam technology. Rounding off the unmistakeable face of the Mercedes-Benz pickup are two standard-fit fog lamps in the front apron, which blend in harmoniously in the overall front design. Like the front apron, the rear bumper also varies depending on the selected design and equipment line: it is painted black for the PURE line and in the vehicle colour for the PROGRESSIVE line. The POWER line has a chromed bumper for a particularly classy look. To conveniently access the cargo area for loading and unloading, the bumper has an integral step. If the standard 90-degree tailgate opening is not adequate, as an option the X-Class can be ordered without the rear bumper. Then the tailgate opens to 180 degrees. In terms of width, the load bed is designed in such a way that a Euro-pallet can be loaded straight between the wheel arches. 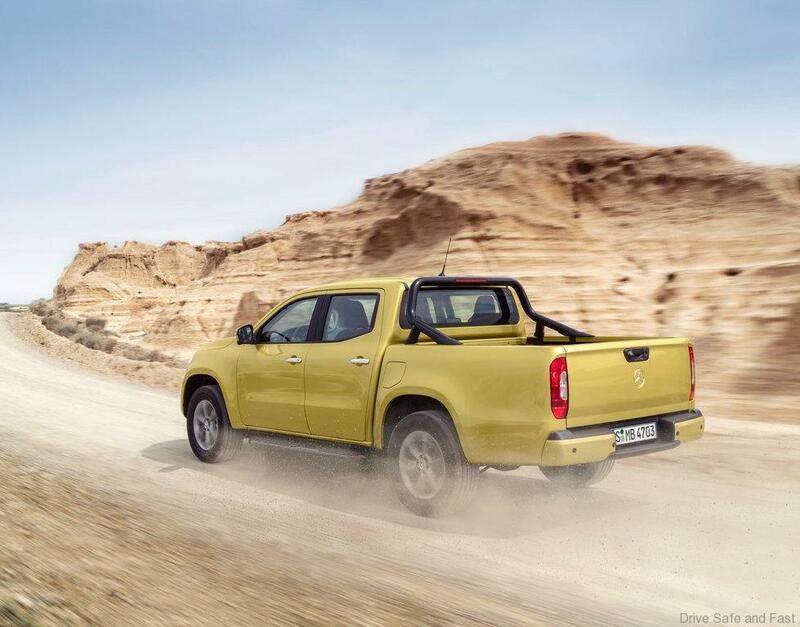 The X-Class is the only mid-size pickup to be equipped with lighting in the cargo area as standard. The third brake light contains LED lights which illuminate the whole load bed. Operation is by a switch in the centre console. As soon as the ignition is switched on, those lights turn off automatically. A 12-volt socket to power additional equipment such as compressors, for example, is also part of the standard equipment in the load bed. There are nine attractive exterior colours to choose from across all three design and equipment lines: the standard paint finishes danakil red, chisana white and granite green, as well as the metallic paint finishes kabara black, axinite bronze, rock grey, cavansite blue, diamond silver and bering white. There is a specific Style Package for each of the PROGRESSIVE and POWER lines, enabling further individualisation. For example, side running boards and an electrically opening rear window can be added to the X-Class. 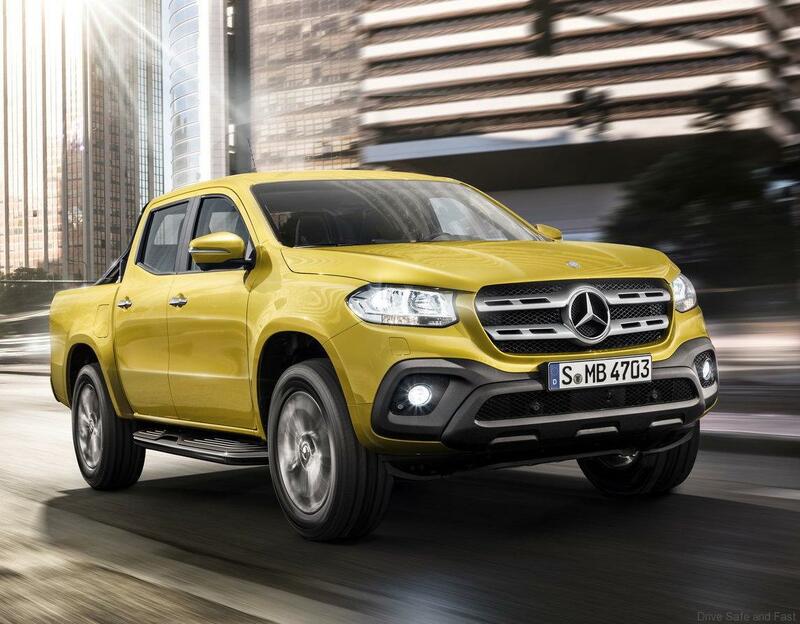 What’s more, Mercedes-Benz has designed an extensive range of accessories so that customers can individually customise their X-Class even further. If required, the design, functionality or off-road capability can be enhanced to suit specific tastes and needs. For example, there is a choice of soft tonneau cover, hard tonneau cover or roll cover, as well as a canopy which makes the pickup look like an SUV. It continues the vehicle’s lines perfectly, merging with the vehicle body to create a distinctive silhouette. Other options include a bed liner and a technical underguard. In the interior, the Mercedes-Benz X-Class elevates comfort and quality feel to a new level within the segment for mid-size pickups. The Mercedes-specific cockpit features a large trim element, round ventilation outlets and a freestanding central display. Thanks to its clear design, it exudes high quality and a sense of modern luxury. When it comes to selecting materials, the PURE, PROGRESSIVE and POWER design and equipment lines offer plenty of scope for further differentiation – from grained plastic to the woodgrain effect, from hard-wearing fabric to genuine leather with stylish contrasting topstitching. With a total of three trim parts for the cockpit, six seat covers including two leather variants with contrasting topstitching, and two colours for the roof lining, the X-Class provides the widest choice of materials and colours in this vehicle segment. In addition, the Mercedes-Benz pickup stands out for its comfort and generous amount of space for up to five people. Emphasising width, the clear interior shape of the X-Class radiates strength and exclusivity simultaneously. The instrument panel has a dynamic form with a concave trim element stretching across its entire width – a novel feature in this vehicle segment. It creates an open feel and purist modernity. There are three trim variants to choose from for the X-Class POWER: a pixelated look in matt black, an aluminium effect with longitudinal grain and a brown matt woodgrain effect. This look of open-pore wood or sporty aluminium makes for an exciting contrast with the vehicle’s robustness. To complement the high-quality feel, the upper section of the cockpit is available with ARTICO man-made leather in either black or nut brown with lavish topstitching. The characteristic round ventilation outlets add a sporty touch. Depending on the design and equipment line, these come in either high-gloss black or silver shadow, creating a high-end cool touch effect. The freestanding central display, which is familiar from the V-Class, reinforces this impression. With a screen diagonal of up to 8.4 inches, it is the biggest display in the mid-size pickup segment. With the PROGRESSIVE and POWER design and equipment lines, the centre console is also prominently framed by a decorative trim in silver shadow. The large door handles are also finished in silver shadow. The control and display concept shows the familiar levels of convenience and ergonomic comfort. It is both clear and bright as well as high-tech. The instrument cluster consists of the large, analogue round dials from the C-Class and V-Class. In the X-Class PROGRESSIVE and POWER they are tubular. A 5.4-inch colour multimedia display is nestled between the round dials. All the typical Mercedes displays such as trip information, assistance systems, navigation and telephony can be accessed and operated from here. The experience and method of interaction thus resemble those in the proven passenger car model series. Thanks to the pushbuttons on the standard-fit three-spoke multifunction steering wheel, the settings on the colour display can be controlled without drivers having to take their hands off the steering wheel. The steering wheel with its 12 buttons in total is height-adjustable, thereby improving ergonomic posture and allowing a relaxed seating position. In the Mercedes-Benz X-Class PROGRESSIVE and POWER, the steering wheel, shift lever knob and handbrake lever are also covered in leather. In conjunction with the Audio 20 CD and COMAND Online multimedia systems, and in addition to the central control unit, the X-Class contains the multifunctional touchpad familiar from the passenger car model series – another novelty in this segment. It is located in an ergonomic position on the centre console and, like a smartphone, it can be controlled using gestures or by entering letters and characters. Plenty of attention was paid to comfort when developing the seats, too. Premium materials and a seat structure featuring optimum lateral support, a high seat position and the use of ergonomically formed soft foam make sitting comfortable for both the driver and front passenger, even on longer journeys. With their clear, ergonomic and functional design, the comfort seats can be adjusted in the longitudinal direction as well as for height and backrest tilt. The X-Class POWER has electrically adjustable seats and electric two-way lumbar support as standard. 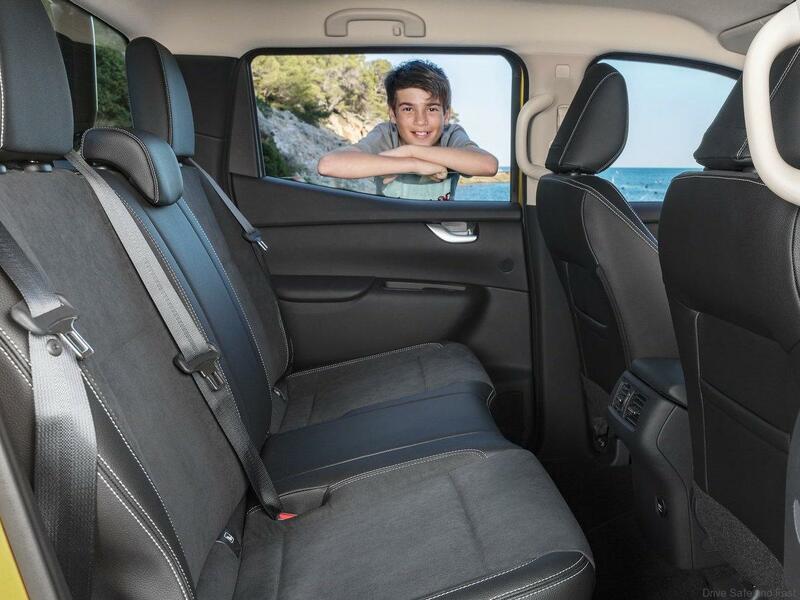 The rear seat row for three people is positioned at a comfortable height and has reinforced seat side bolsters for optimum support in the outer seating positions. These seats are also equipped with attachment points for an i-Size/ISOFIX child seat as standard. Other top tether fixing points on all three seats make it possible to additionally secure the child seats, thus increasing safety further. As from its market launch, there are two powerful and efficient four-cylinder engines to deliver spirited performance. The high-torque common-rail diesel drive system with a displacement of 2.3 litres is available with a choice of two power outputs. In the X 220 d with single turbocharger it generates 120 kW/163 hp and in the biturbo X 250 d no less than 140 kW/190 hp. The X 200’s petrol engine outputs 122 kW/165 hp. All engines are characterised by quiet, low-vibration running and excellent power delivery coupled with low consumption figures. In mid-2018 the top-of-the-range high-torque V6 diesel engine will be released, ensuring even greater agility on- and off-road. The biturbo engine in the X 250 d has two turbochargers of different sizes which, depending on the engine speed, compress the intake air either singly or in combination. This delivers powerful torque at low revs and more output at the top end of the rpm range. Immediate response times, good pulling power and strong acceleration are thus guaranteed. The large turbocharger is designed for high throughput and kicks in when the revs are going up. This evens out the acceleration right through to the upper limit of the rpm range, creating the ideal prerequisites for a dynamic driving experience as well as for transporting heavy loads and for trailer operation. Both diesel variants are available as left- or right-hand drive vehicles with purely rear wheel drive or with engageable all-wheel drive. Due to very specific market requirements, for example in Dubai and Morocco, the X 200 petrol model is only available as a left-hand drive vehicle with rear wheel drive. Power is transferred via a six-speed manual transmission. Its special feature is the wide transmission spacing, with a short first gear for maximum torque and a long sixth gear to keep rev speeds down. This design makes allowance for typical situations such as hill starts with a horse or boat trailer in tow and long-distance comfort on motorways. Furthermore, the manual transmission combined with a diesel engine can be equipped with the ECO start/stop function as an option in various markets. 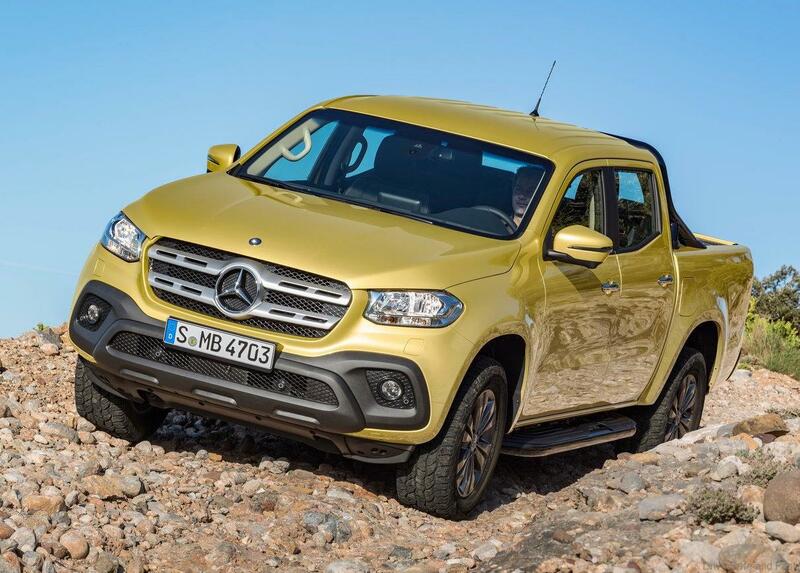 This makes an important contribution to the X-Class’s moderate fuel consumption. As soon as the driver brakes, disengages the gear and releases the clutch, the engine switches off automatically when the vehicle is at a standstill. When the clutch is engaged, the engine immediately starts again. This saves on fuel, particularly in urban traffic. A seven-speed automatic transmission is available on request for the 140 kW/190 hp X 250 d and X 250 d 4MATIC models. The most powerful engine version, a high-torque V6 diesel engine will be released mid-2018. It has already proven its credentials in numerous Mercedes-Benz passenger car models – from the G-Class to the latest E-Class. The top X-Class model will come as standard with permanent 4MATIC all-wheel drive and the seven-speed automatic transmission 7G-TRONIC PLUS with steering-wheel shift paddles and ECO start/stop function. Similar to the seven-speed automatic transmission in the four-cylinder diesel model, 7G-TRONIC PLUS doesn’t show any interruption of traction when changing gears. This improves the handling on gradients, off-road terrain and when towing a trailer. Furthermore, 7G-TRONIC PLUS permits fast shift operations and low rotational speeds. This has a positive effect especially with regard to efficiency and noise levels.